At FinEX Asia, we create tailored asset management solutions that deliver superior returns and a simpler financial experience. Invests in high quality and low volatility Prime US Consumer to achieve stable returns. Utilize leverage to enhance ROI in Prime US Consumer Credit. An investment to achieve both superior returns and high liquidity. 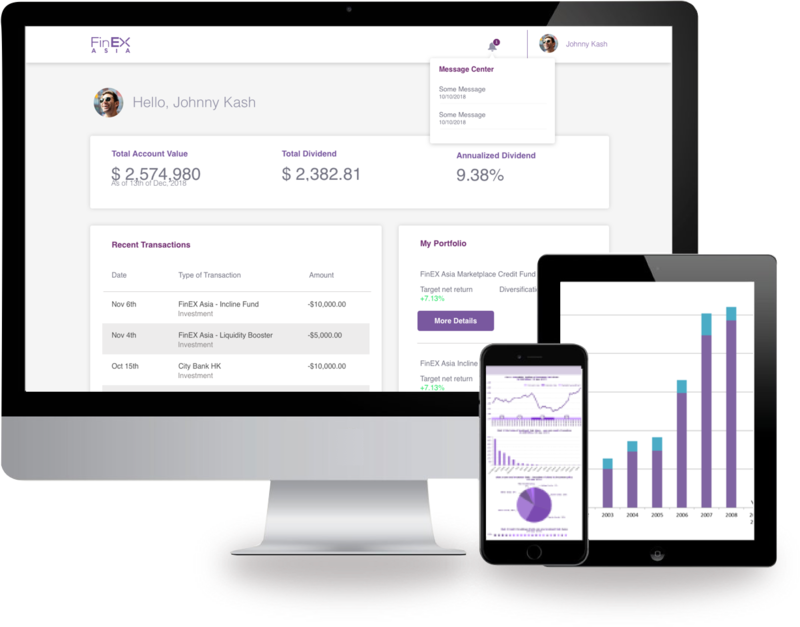 A cost-effective fund management solution to scale financial institution operational efficiency. Analyse sales throughput by product, account, and time with intuitive dashboard analytics tools. Leveraging our expertise in empirical research and data analysis, we develop competitive advantages capable of delivering superior returns to our clients. Robert has over 15 years of financial industry experience. Most recently, he was Partner and COO at Redwood Peak. Previously, he served as Head of Asia Prime Services Risk at Barclays where he spent 10 years across Europe, North America, and APAC regions. Prior to this, he worked at PwC in the Investment Funds Group. 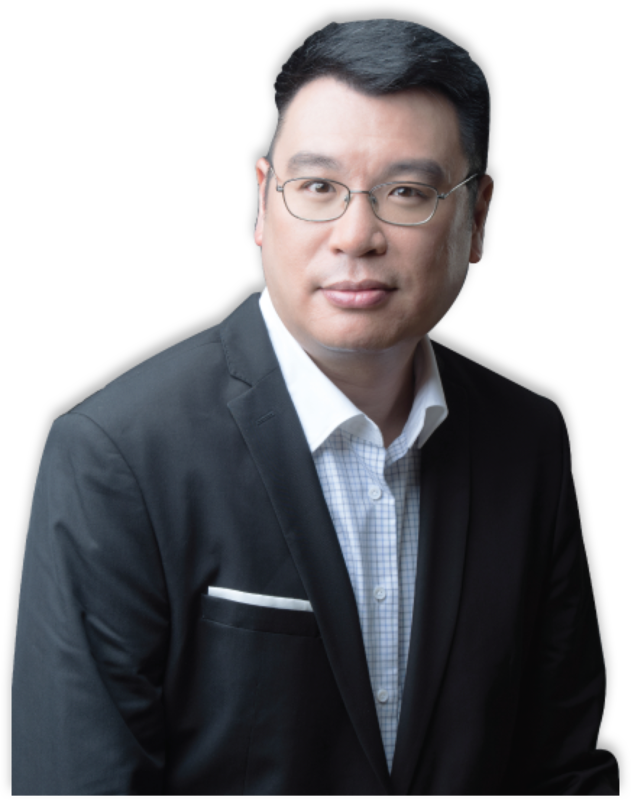 He received a Master of Engineering degree from Imperial College London specialising in Aerospace Materials Engineering and an Executive M.B.A. from Kellogg-HKUST. Maggie has 20 years of banking experience. Most recently, she was Asia and EMEA Head of Unsecured Lending at Citibank N.A. and managed over USD 20b AUM. Previously, she was Chief Risk Officer for Citibank Hong Kong. Prior to this, she held senior positions at Ernst & Young (Australia) and Broken Hill Proprietary (HK) Ltd. In 2017, Maggie co-founded FinEX Asia. Angie has over 10 years of financial industry experience. Most recently, she was Co-Chief Executive Officer and Head of Investment Solutions for AMTD Strategic Capital Group. Previously, she was responsible for fixed income financial products trading at Polaris Securities (HK) Limited. Prior to this, she was an investment analyst at ISM Media. In 2017, Angie co-founded FinEX Asia. Daniel has 24 years of financial industry experience and has allocated investments to over 100 funds globally. 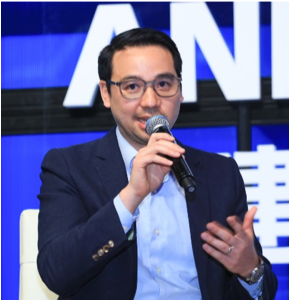 Most recently, he was founder and managing director for Tripod Management, one of the first investment management firms in Greater China focused on alternative investment strategies. 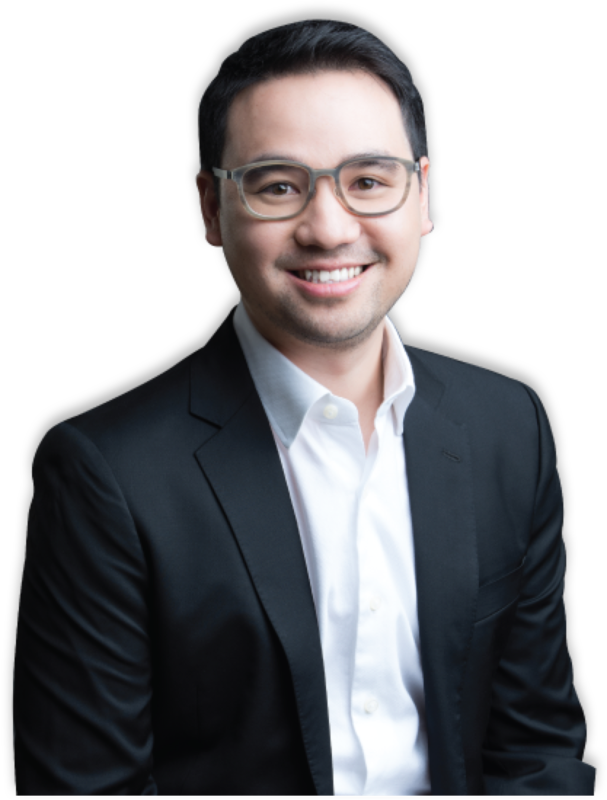 Previously, he worked at Nomura International and received a Bachelors degree from the Chinese University of Hong Kong and a Masters degree from SDA Bocconi in Milan. Kelly has 15 years of financial industry experience. Most recently, she led trading and product solutions at AMTD Asset Management. 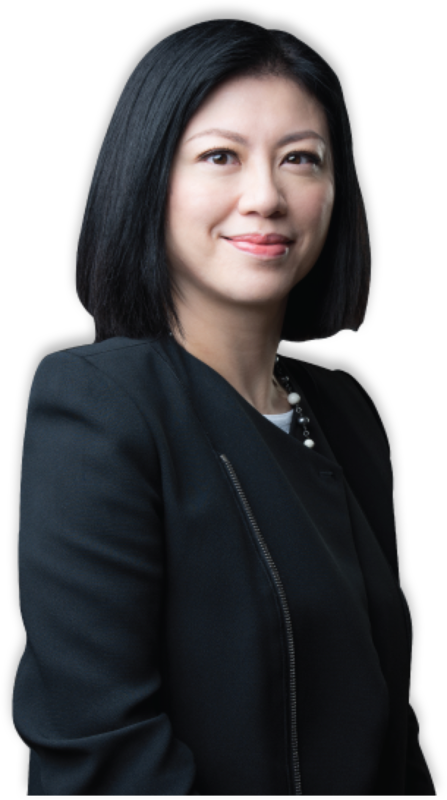 Previously, she supervised asset and liability financial solutions for over 300 Multinational Corporates and local Corporates at HSBC Taiwan Global Markets. 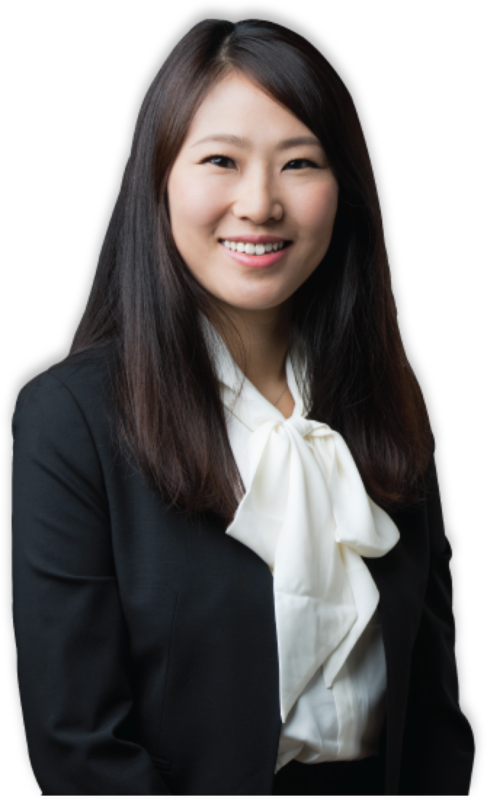 Prior to this, she worked at Taipei Fubon Bank in the Financial Markets Group and Polaris Securities in the Derivatives department. Lisa has 10 years of financial industry experience. 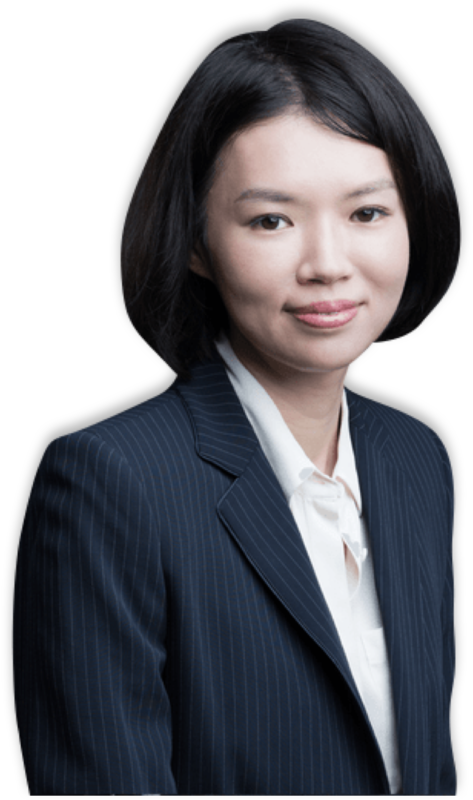 Most recently, she was responsible for client coverage, credit analysis and transaction banking at Standard Chartered across China and the UK, where she handled cash management and trade finance needs for more than 50 multinational companies. 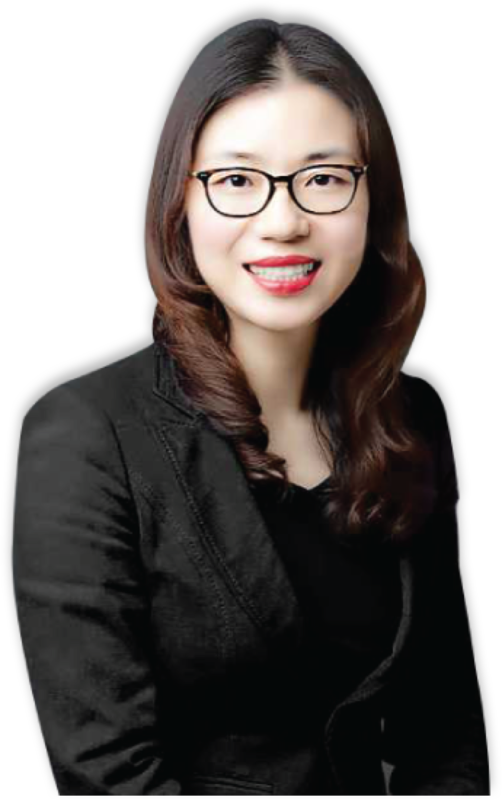 Previously, she was Chief Product Officer of Guangdong Wangjin Holdings, a financial service platform provider for over 40 banks in China. Lisa received a Master of Science in World Economics from Fudan University.